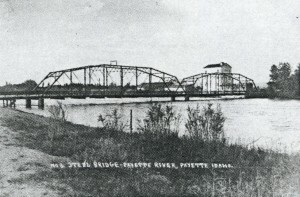 Former Steel Truss Bridge Crossing the Payette River at 6th Avenue. Note Flour Mill on the Far Side of the River. 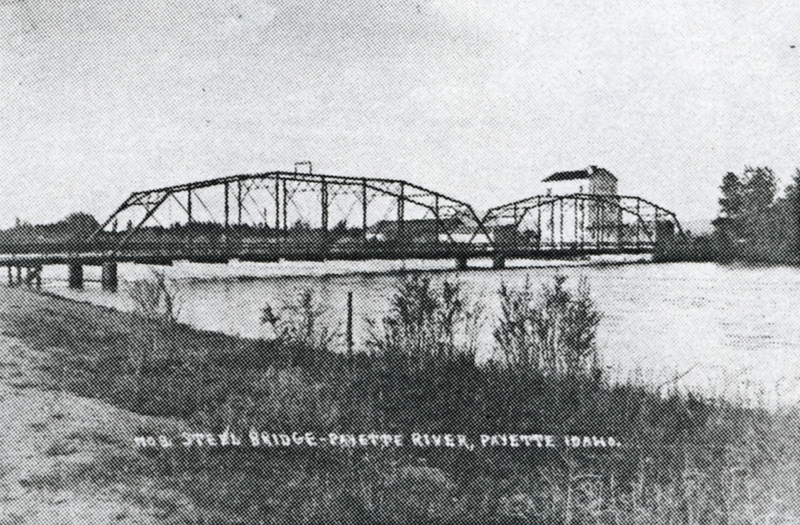 The Payette River is one of the city’s best resources. It is the lifeblood of the area’s agricultural empire as well as a recreational playground. The Payette River is one of Idaho’s gems providing crystal clear water at the city’s doorstep. With Payette City being on the confluence between the Payette and the mighty Snake River it has the special opportunity to take advantage of the natural beauty and recreation potentials of these magnificent rivers. There are boat docks located on the Oregon side of the Snake River that allow access to water skiing. It is important to note that the commercial center of Payette is only a few short blocks to the ever flowing Payette River bank, accessible by Third Street South or adjacent to the Kiwanis Park.